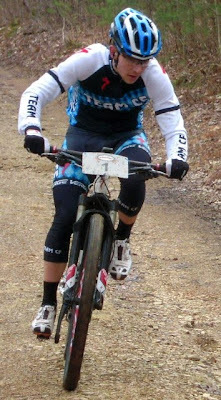 The Tour de Tykes XC race is one of my favorite stops in the MASS. The course is steep from start to finish, has tons of climbing (over 4,000' in 18 miles), and the downhills are a blast. Plus this race is close to my hometown of Locust Gap which is only 15 miles from where I grew up. 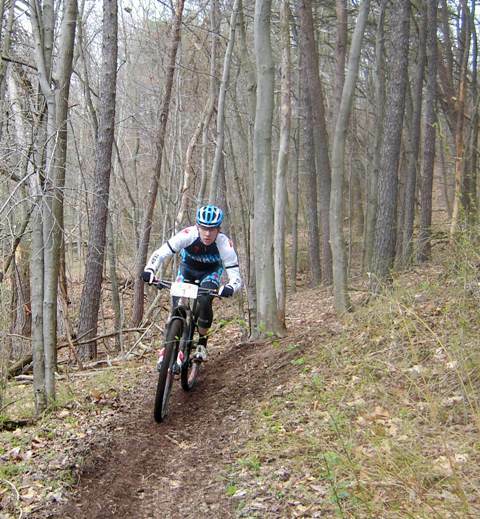 Despite its proximity the only time I get to ride these trails is the day of the race. This year's race brought a stacked field with most of the Mid-Atlantic's fastest bunch so I knew I would have my work cut out for me. I am usually not much of a fast starter, but for some reason this race is always different. 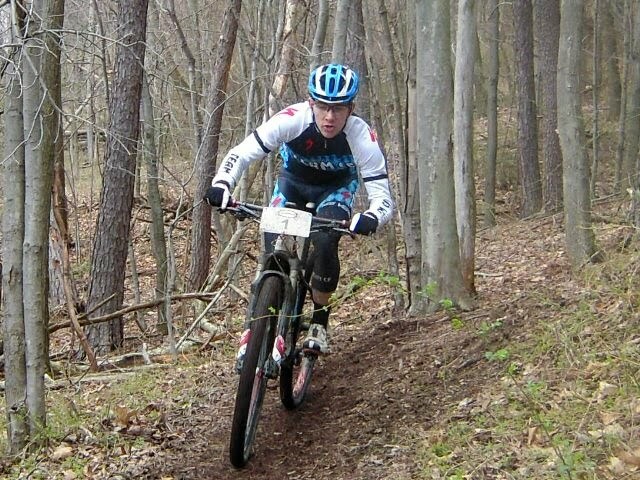 I always start it with one hard effort up the first climb into the singletrack in an attempt to start off with an early lead. 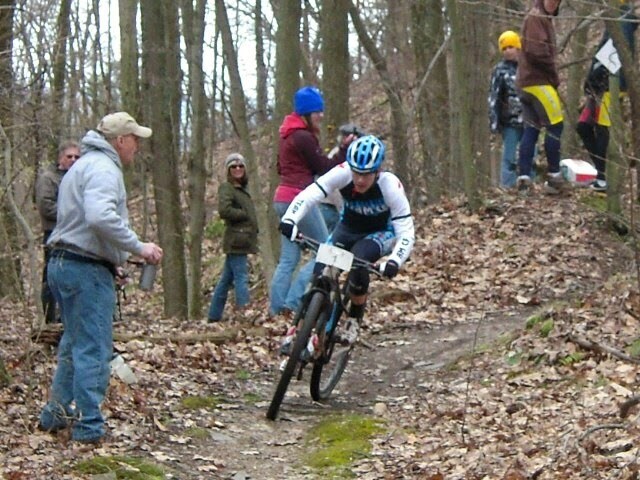 As the race began I found myself pushing hard sitting on Jeff Schalk's wheel for the first half of the starting climb before making my own attack at the front. 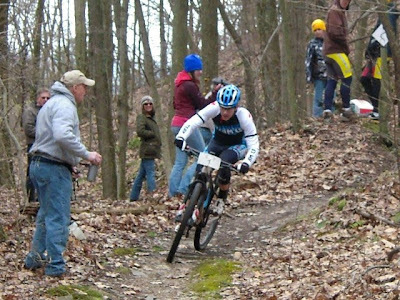 My first move was short lived as Jeff made a quick pass to regain the lead until we reached the first section of trail. Before the trail would narrow down to true singletrack I made one more attempt to get ahead of Jeff which gave me the lead and a quick 10 to 15 second gap. The first downhill went by pretty quick as I kept on the gas hoping to break up the rest of the chasers. As I started the second climb of the day I noticed that my lead had grown by another 5 to 10 seconds. I was feeling great so I continued to push harder, making it difficult for anyone to try to catch back on. After making it back into the singletrack again I was all on my own with nobody else in site. After a few minutes the course began to wrap around the mountain and double back giving a good view of the course behind me. I had noticed Jeff, Aaron, and Dylan were now about a minute back and I began to feel comfortable with my strategy. I took advantage of being by myself to properly refuel and simply have fun on the downhills rather than worrying about holding a wheel or looking for a place to pass. After a few more climbs I would descend back to the fireroad that we started on, grab a fresh bottle and take on the second half of the course. The second half has about the same amount of climbing though it never feels like it. I continued on by myself with an increasing paranoia of being caught. Every time the wind would kick up and rustle the leaves I would get gun shy. My heart rate would spike, and I would jump out of the saddle for a few seconds before I would realize that I was still alone. Towards the end of the race anyone who has ever done this event dreads the final "Moondance" climb which is a steep powerline climb with close to a 30 % grade, the steepest on the course. For me, this time reaching this climb gave me a sign of relief. With nobody in sight it was almost impossible to get caught as it is almost as fast to walk this climb as it is to ride and the following downhill is smooth enough to ride a flat to the finish if the unthinkable were to happen. Fortunately for me my race was trouble free and I was able to cruise to the finish with my first win in the MASS for the season.